Nikon D7000 vs. Canon 7D : Cheaper AND Better? 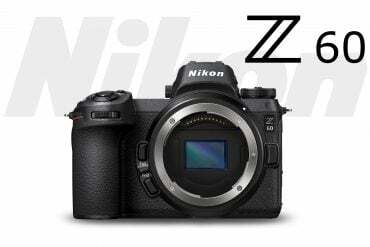 Recently, I published a quick comparison of the new Nikon D7000 and the equally new Canon 60D, both similarly priced mid-range cameras from their respective manufacturers. The Nikon fared very well against the Canon 60D. However, in several recent reports, I’ve begun to see the D7000 compared to the Canon 7D instead… and the 7D is a much harder act to follow. Some have claimed that the Nikon is just as good as the 7D at $400 less. It is easy to get caught up in the hype surrounding a new camera, especially when it hasn’t even been released to the public. But lets take a more sober look at the features and build of the two powerhouses and see if they can really be considered equals. Thought both camera bodies can claim magnesium alloy body construction, that construction is not necessarily equivalent. Notice that the Canon’s lens mount is bolstered by the magnesium alloy body. First, lets take a quick look at the bodies. Although the Nikon D7000 is advertised as having a magnesium alloy body (and it does), it is more of a skeleton than the full metal body of the Canon 7D. As you can see in the photo (sorry for the hasty composite), the 7D is metal all the way up to the lens mount, where the stress from heavy glass can make the greatest impact. The D7000, on the other hand, has magnesium armor in many crucial areas of the body, especially along the top and back of the camera, but its front (and importantly, surrounding the lens mount) is still primarily plastic. The D7000’s body, then, is a great step up for the advanced amateur, but it is still not quite professional class construction. No doubt the smaller size of the D7000 played an important part in the body design. Though both cameras offer a bright penta-prism viewfinder that show 100% of the full frame, the Canon shows the image at full magnification, while the D7000 is 5% smaller. For those of you who spend hours each day staring through your viewfinder, you’ll understand why this makes a significant difference… bigger, brighter viewfinders are always better. LCD Size / Resolution 3.0"
Max Frame Rate : RAW (14-bit) 8 fps ? Max Frame Rate : RAW (12-bit) n/a 6? Max Frame Rate : JPG 8 fps 6? Max Burst Duration RAW (at highest frame rate) 15 100? 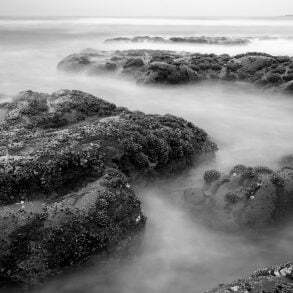 Shutter Speed Range 1/8000th - 30 sec. Maximum Flash Sync Shutter Speed (standard flash) 1/250th sec. 1/250th sec. Obviously, the Canon 7D has a higher resolution sensor, at 18 megapixels compared to the D7000’s 16. The Nikon’s sensor can be pushed (H2) all the way to ISO 25600, though having seen the results, it’s hard to imagine that anyone would want to. Otherwise, the cameras have the same ISO range, 100-6400. I’ve found that images from the 7D shot up to ISO 1600 (and sometimes 3200) are quite usable. I look forward to seeing how the D7000‘s high ISO images compare. As it is a newer sensor and lower resolution, we should expect the D7000 to have slightly better high-ISO performance than the Canon 7D… and my initial tests seem to indicate that this is true, especially at ISO 6400. 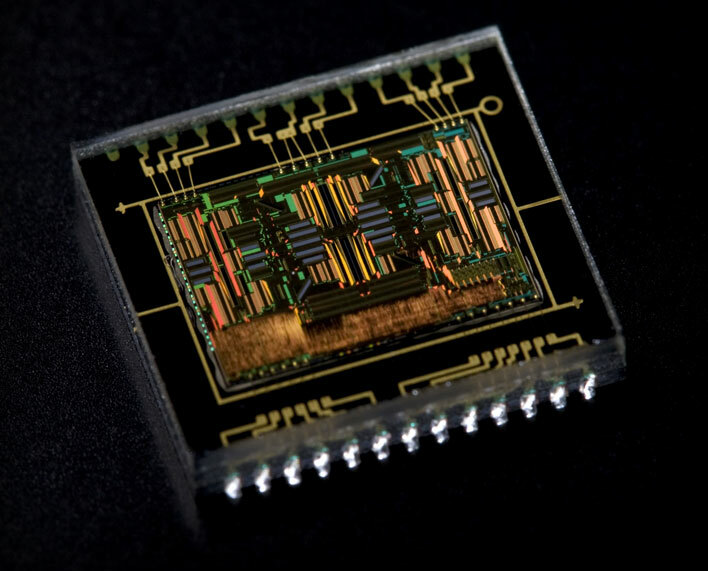 The 19 dual cross-type sensor AF module from the Canon 7D. The D7000 does have an interesting new 39 point, RGB inclusive AF system. However, it still only has 9 cross-type AF sensors, which make a crucial difference in low light, low contrast situations. The Canon 7D has more than double that number of cross-type points (19 dual cross-type, in fact), and an AF system borrowed from the Canon EOS 1D line, probably the world’s most popular and successful line of sports photography cameras, driven by dual Digic-4 processors. Though it’s likely that the Nikon will perform almost as well as the 7D in good light, I would put my money on the 7D in lower, flatter lighting situations. [Update: This point was a little quick, and since there have been a couple of questions, I’m going to explain this conclusion in a little more depth. As you undoubtedly know, contrast is the fundamental ingredient for auto focus in SLRs. 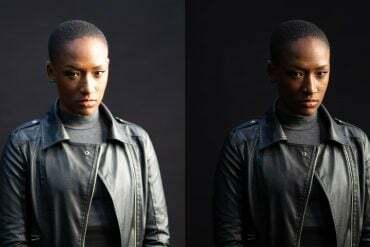 If we consider our subject’s face to be our desired focal point, then clearly the red channel gives the best contrast between skin and background, which is typical with skin. We also get good contrast against the sky in the blue channel. The skin tones are low contrast in the green channel, but this is the best case scenario for the green channel, with an almost entirely green background. Stop and think for a few moments about what a color RGB image is, or better yet, open a few images in Photoshop and take a look at the “Channels” palette. An RGB image is composed of 3 black and white channels, one corresponding to each primary. As you may know, you can duplicate your red channel and replace your blue channel with it, for example… there is nothing inherently “red” or “blue” about each one. Instead, each one is like a black and white photo shot with a colored filter, so they have differing levels of contrast. 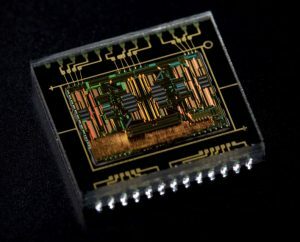 Since CMOS and CCD sensors use about twice as many green receptors as any other (because of the way that our eyes see) the green channel usually has the most detail information, but the lowest contrast. Again, those of you who do a lot of isolating and masking in Photoshop know that green is the channel least likely to be used to create a new mask. 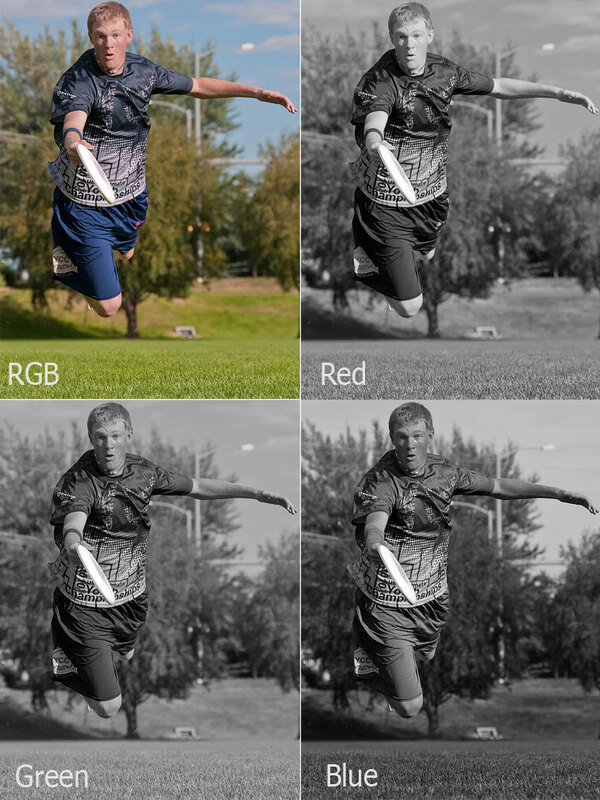 The 7D does use the color data to assist in AF; it uses the high contrast Red and Blue channels (its metering sensor uses two layers, an RG and a BG). The Nikon uses all three channels, ie, the full RGB spectrum, but keep in mind that because the green channel is typically low contrast, it’s not usually going to be any more useful than the composite RGB brightness data that our cameras have always used; I take the fact that it claims to be RGB as more of a gimmick than an actual engineering feat. So, on the basis of color data, there will be (extremely) few circumstances in practical use when the added color channel will be helpful in pulling focus… if any. The dual processors of the Canon 7D also mean that it should perform faster in general. It can shoot faster bursts of photos (8 per second vs. the 6 of the Nikon D7000). 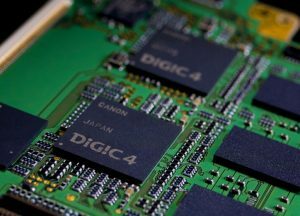 The D7000 does allow bursts for a slightly longer duration (100 vs. 94 jpgs), which makes sense: since it’s taking fewer photos per second, it doesn’t have to write the data as fast, and the buffer will have more time to clear. Nikon, however, is suspiciously vague about the resolution and format of those photos. In this matter, I’m keeping in mind that the Nikon D300s advertises being able to shoot 8 frames per second, but it can only shoot 2.5 in RAW mode (unlike the 7D, which shoots 8 fps in RAW or jpg). 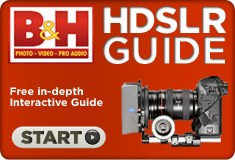 For those of you who are serious about making production-quality movies, I can highly recommend B&H’s HDSLR guide. It covers all of the extras that are really important for slick results: audio, matte boxes, stabilizers, rails, etc. Even if you’re not in the market, it’s worth looking… lots of cool toys! The 7D can also process video faster, allowing it to shoot 60 frame-per-second slow-motion HD video (at 720p). Perhaps more importantly, the D7000 can only shoot 1080p video at 24 fps (not 25 or 30), which is a major limitation. Although some film makers prefer working with 24 fps because of its similarity to the movie film frame rate, 30 fps (30p/60i) is the standard broadcast frame rate, and common video editing frame rate. If you intend to edit video footage together from the D7000 with camcorder video, you’ll have your work cut out for you. One advantage of the Nikon D7000, however, is the sensitivity of its focusing sensors. According to the specs, the Nikon can focus in a half (0.5) EV lower light than the Canon, which can always come in handy. This is, of course, assuming that in the available light there is sufficient contrast, etc, for the sensors to pull focus. The D7000 also uses SD cards, which some may find to be an advantage, and it holds two of them, allowing physical separation of jpgs and RAW files. I think this is a really cool idea, but I’m not really sure how useful it will be in practice… I can’t think of a good practical application for the way I work. There are, of course, countless other differences between the two cameras… but many of them are hard to quantify, and many of them are not used by many photographers. I’m willing to accept that there may be particular features found in the D7000 that will make it the best choice for a particular photographer, but when it comes down it to the raw figures, the Canon 7D appears to be the clear winner. Perhaps not by a ton, but certainly $300 worth. I read your article and I am hoping you will provide an indepth solution to me as well. You keep emphasisnig the fact that the choice of the camere depends on your needs. So I am going to be specific with my requirements so you can help me choose. I have been reading different articles but I never came across the problem I seem to face with my d5000. I am a novice and ended up buying d5000 in 2010 as my first dslr having no idea what to choose. I was too excited getting my slr and went on a clicking spree as I had a willing subject which was my brand new baby. I loved photographing her every minute and in 3 mons ended up having severe tendinitis as wierd as it may sound. Here’s the problem, d5000 takes ages to focus. It keeps hunting constantly for a focal point again and again pinching my tendon every single time it doesn’t come to focus. The subject being a baby, its almost impossible to catch the shot I want, forcing me to click more than necessary. The pain from tendinitis is so excruciating that if I click some 30-40 pics a day, I would have to rest my hand for a week. I thought this was how all SLR’s are until 6 months ago when I shot some 200 pictures from T1i at my Brothers In Law wedding. It was focusing at lightning speed and my arm was at total ease even after shooting 100-200 pics. Not a single day went by without regretting not buying cannon since that day. And now I have to live with tendinitis for the rest of my life, thanx to my d5000. I elaborated my problem so you can tell me if its my camera’s fault or my lens or my own settings? 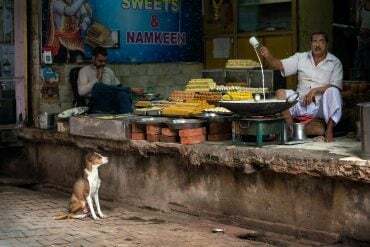 If its my camera, I am ready to move on. Cameras shortlisted : Cannon 60d/70d or 7d and Nikon d90 or d7000/d71000 (although I hate Nikon, had to shortlist coz of the reviews) OR you could totally suggest a new one based on my needs. 1. Something really easy for my arm. Has to come to focus instatntly and light weight. 3. HD videos with blurred background. 6. Something that screams professional when you look at the image. I am a total amateur and usually click images using scene mode but I cannot emphasize how much I love blurred backgrounds bringing the subject to sharp focus. I am not a technical person, so I dont understand cross points and a lot of other jargon. I always loved photography and bought my first dslr hoping to hone my skills but took a backseat instead. But after shooting with t1i and realising that not all cameras are painful after all, my passion for photography is back again. Since my first camera sank $1000 down the drain, I want this to be a wise investment so I can grow into it and not replace it with anything else later. My purchase will solely depend on your advice. I’m afraid that my advice isn’t going to be very satisfying this time. When it comes to ergonomics, there’s no substitute for holding a camera in your hand and testing it. Sometimes a large grip will cause less stress, sometimes a small one will… sometimes a lighter camera is more comfortable, sometimes a heavier one. That said, if a Canon T1i was comfortable for you, the Canon T series has changed very little since its release. The T5i would be a good place to start testing, and the Canon 70D would be a good follow-up. The 70D is the better camera, but it’s larger. Both focus quickly (with a good lens), shoot HD video (but the 70D has better, much faster autofocus for video), they’re pretty good in low light. No matter what camera you own, even if it’s an $6500 Canon EOS 1D X, no camera is going to take pictures that look professional all the time unless you know what you’re doing… and probably not even then. Taking professional-looking photos requires a lot more than an expensive camera. 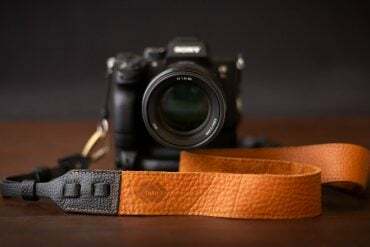 However, ANY DSLR is going to be capable of taking professional looking photos… so that will depend on you and how much time and learning you’re willing to put into it. When it comes to professional image quality, nothing is more important than the lens that you choose, and that depends heavily on what you want to shoot and what compromises you’re willing to make. 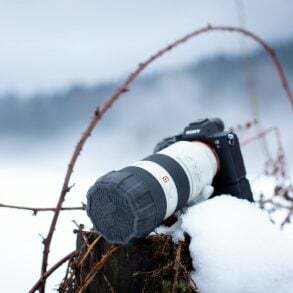 Using a 50mm f/1.8 or f/1.4 lens will be fast, light, give you shallow depth of field, be excellent in low light, but they’re not flexible in terms of zoom range. You have to get used to shooting at 50mm only… and a lot of people have a hard time with that. My advise would be to buy a T5i body or 70D kit with the new 18-135mm STM lens, and add on the 50mm f/1.8 lens for an extra $100. Again, you’ll need to test the bodies with that lens to make sure it’s comfortable for you. I am elated to see your prompt response covering all the aspects. Firstly, I agree with you a 100% that I have to personally test different cameras to find out which one works for my hand. I did go to Best buy with the same idea to try and click their display models but they dont have any. If I buy and return, there would be a restocking fees. Do you have any suggestions how I can try a bunch of cameras ruling out friends as an option. secondly, assuming Nikon D90 and D7000 work for me. Can I use my current D5000 18mm-55mm lens and 55mm-200mm lens on either of the cameras depending on what I buy, of course. (This is just to save some money since I have the lenses already) OR Is it the lens that is causing me the pain in the first place? Lastly, I admit its the photographer and not the camera that can make it look professional. I was just too excited to get started again. I loved watching your awesome tutorials that had loads of information. You just made me subscribe. Thanks a ton for your guidance. 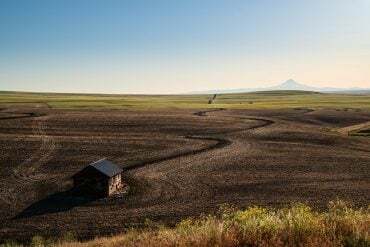 When it comes to trying out new cameras, I suppose it all depends on where you are. My local Best Buy and even WalMart has some, but there are 3 or 4 camera shops around Seattle that have much better selections and I can try whatever I want. Amazon.com generally doesn’t have re-stocking fees. If you have a local photography/camera club, you might try going for a meeting and seeing what people have. Any lens that will work on a D5000 will also work on any other Nikon DSLR. It’s hard to say whether they’re part of the problem you experienced, but it seems like they might be a factor, either with speed or ergonomics. Again, testing is the only way to know for sure. Will be on the look out for a local camera store here in San Jose and try Walmart too. Thank you for your time and all your suggestions. I am Goutham Neelambaran from India about me I am very much interested in photography and shooting videos. Today (3/31/2013) morning I happen to read a comparion between Canon 7D and Nikon D7000 in your website (light and matter) I read all your replies for the members, all your replies were really informative especially like a beginner like me it was really helpful first thank you for that. Sorry being a beginner I really can’t decide which lens to get, your guidance is needed. I am interested in sports, wildlife, abstract and action. Not only these I want to explore all the edges of the photography. I would also like to take some low-light photography too. Upgrading from a point and shoot to a DSLR Family. I have finished my Bachelors of Engineering the last April 2011 and have been working for one year and now applied for universities abroad and waiting for admit. Not a problem, affordable for all the models. I heard people say that Nikon D7000 is best for low-light photography and Canon 7D isn’t that good when compared to Nikon D7000. Is that true or these nikon fan boys exaggerating it. I fully trust you, I want you to decide and tell me which one is best for my kind of photography since you have a good knowledge about it. I have been trying to decide among these models. But can’t do it, some say Nikon D7000 is great and some say no, Canon 7D is great and a another one says why do you have to buy such a expensive one go with the Canon 60D. Really confused and fed-up with it. So, I am leaving it solely to you. Consider me as your younger brother and suggest me ONE CORRECT MODELS THAT I CAN BUY WITHOUT ANY DOUBT and also the lens for above listed type of photography. First, welcome to L&M :) It’s Easter, today, so I’ve been visiting with family instead of answering questions here. Before I get into this too much… is the D7100 also in the running for you, or was there a reason that you left it out? Sorry, belated Easter wishes to you..
Abstract, Wildlife, Creative, Action and Low-light photography.. I know that Nikon D7000 seems really good in low-light situations, but I am planning to upgrade after 2 to 3 years of using either of these models. In canon, I can go for Canon 5D mark iii or something that might come up. In Nikon, I dont see a DSLR that I want to upgrade (No much of knowledge about Pro Nikon DSLRs). I do know that after choosing a brand (Canon, Nikon) it is difficult to switch to another one though it seems possible I dont want to do it. So, Canon 7D, Canon 60D and in Nikon its D7000.. Just give me one model that I will best suit my needs and will stay happy about it. I read in a review that Canon 7D ISO performance in ISO 6400 or higher seems really bad and no where near a pro-kind. I am pretty shocked after reading that sentence wanted to clarify with you. 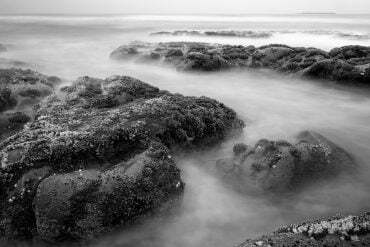 PS : Myself a Learner, but very much interested to learn photography to core. And another things you need to know, If I get this camera I wont be upgrading it for another 2 to 3 years, provided there is an exceptionally fantastic model that is being introduced to market by either of them (Canon or Nikon). Just so we’re clear… my question was whether the Nikon D7100 is in the list, not just the D7000. That said, I’m afraid that there’s no simple answer to this question. 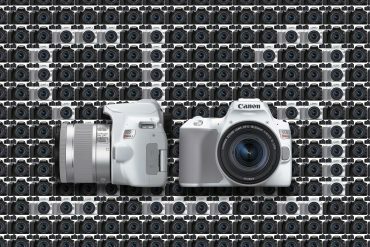 Each camera has its strengths and weaknesses, so I can’t tell you which one to buy. My general advice is to buy the least expensive camera that will suit your needs, and then buy the best lenses that you can afford. The Canon 7D is the best camera of the bunch for sports and action, and action-wildlife. The D7100/7000 are great all-around, and a little better in low light. The D7000 is good for an APS-C camera in low light, but is still very feeble compared to a full frame like the 5D Mark III. That is, the D7000 at ISO3200 is better than the Canon 7D, but both of them are ugly at that ISO, whereas I have no problem shooting at ISO3200 or 6400 with a 5D. When I shoot with any APS-C camera (Canon or Nikon), I don’t go above ISO1600, and I only rarely go that high. With enough noise-processing, they’re usable at ISO3200, but you lose a good amount of detail. I’d go for the 7D over the D7000, but it really comes down to a matter of what your needs are, and you’re the only one who knows that :) Good luck! Really helpful information. What about Canon 60D?? If I choose Canon 60D with 18-55mm lens with a telephoto zoom 70-300mm IS USM lens.. Will that be a good option or shal I go with Canon 7D with basic kit 18-135mm lens. For anyone on the fence about buying a D7000 in 2014 because of its age, I’ve been using a lightly used model I just purchased for portrait shoots lately, and I love the ability to record my RAW files to Card 1 and a [basic, small] JPEG to Slot 2 simultaneously. I’ve been offering clients a free card with the day’s images on it right there, on the spot as soon as I click the last frame of the shoot. They love the ability to instantly have decent viewable files to take home with them, but since they are much lower quality and resolution, I still can profit off of the files I go back and retouch. 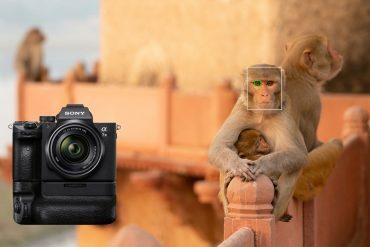 Overall, it’s a great camera and it’s loaded up with all the features any highly advanced amateur would need, and it goes head to head with the 7D in terms of image quality, AF, noise performance and build any day. Hi, I have the same dilemma – 7D or D7000… It’s going to be my first DSLR, as my last “real” camera was a Praktica from stone age, and I abandoned it years ago for compacts. I guess I am looking for a justification to just go ahead with 7D – even much so since my dad casually mentioned, that I could always get his lenses after he retires them. We don’t live close to each other, so unfortunately borrowing and swapping is not an option, so I am not that stuck with the Canon decision. I have to admit I like the idea of slightly newer camera, one with 2 memory cards, and so on, but I would like to get the most professional camera I can, so in two or three months I don’t regret the choice, and wish I got with something “more”. Also – why is the 50ml the best start-up lens? Dad is recommending the 28-135mm or 18-135mm, just to have a range, and be able to set is to ~90mm for portraits (oh, the grand kids), but everyone seems to be dismissing the kit lenses as inferior to everything. If you needed the decision to be a little bit harder, Canon is expected to release 3 new SLRs this year, possibly including replacements for the 7D and 60D. My general advice is always this: buy the least expensive camera that will suit your needs, and buy the best lenses that you can afford. When it comes down to it, virtually any of the cameras that you mention have image quality sufficient for professional use; I remember that in about 2008, a very well known (nationally) wedding photographer was shooting with a Canon 40D and doing very well… and all of these cameras are better than a 40D. So, unless there is some feature that you specifically want in one of these cameras (high ISO performance, frame rate, etc), there’s really not much reason to choose one over another… which is why it’s such a hard decision. I’d go with a Nikon D5200 or Canon 60D; they’re both excellent cameras and not too expensive… they’ll leave money for better lenses. At this point, I’d probably lean a little more towards the Nikon, unless you’re really interested in swapping lenses with your dad. And lenses are really the important part… they’ll make all the difference in your photos. A 50mm lens is a great place to start because of the fact that they’re great in low light, they’re nice portrait lenses, and they’re all very sharp, give you nice shallow depth of field when you want it, all while being very inexpensive. On a camera with an APS-C sensor, a 28-135mm lens is very disappointing at the wide end of the zoom range. If you’re getting a lens for convenience and versatility, it just doesn’t have the wide end to fill that niche (28mm on APS-C is equivalent to about 45mm, which is not really wide angle at all). An 18-135 is much better, but you don’t want the Canon kit version of it… it’s an optically inferior lens. 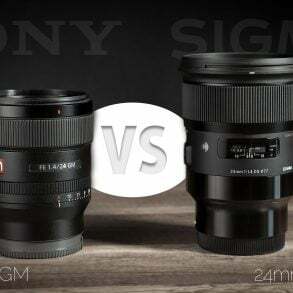 The new 18-135mm STM lens is much much better, though it is a little expensive. Nikon had a really nice non-VR 18-135 years ago, but it’s been discontinued. Don’t get the 18-200. It’s awful. But choosing lenses is half the fun of owning an SLR :) Good luck! In the mean time, I read some more (looks like it was a big mistake, lol), and found an opinion 60D should not be an option, as a used 7D is so close in price – I should get the 7D and the non-SMT lens, as 7D will handle it quite well. Dad got excited – he would have his full frame 5D, and I would have a class lower camera, we would be one happy, Canon family. But I guess you are saying: forget about the non-SMT lens even with the 7D? I’m tempted to wait a couple of weeks to see if the 7D MII really hits the market in late February. I guess 7D prices would drop, and I could possibly afford the camera, and the 18-135 STM lens. 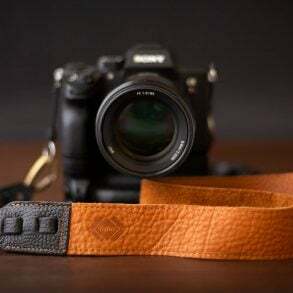 I did read your comment on 5D Mark II and Mark III regarding gaining a year of experience vs waiting a year to get a camera… not going to happen here – to excited about getting a DSLR. On the other hand – Nikon D7000 looks good, too, and I’m even more confused. What do you think about this one with Nikon 18-105 3.5/5.6g Af-s Dx Ed Vr? Even though my dad loves his Canon, he pushes me towards the Nikon D7000. I’m not resisting, I’m just trying to make a smart choice with the budget I’m given, and have no idea what I’m doing. I will probably not use all the functions of the camera in the near future (learning tech stuff and chasing two toddler boys at the same time is not that easy), and I feel the 7D may be an overkill, but… it’s tempting. With toddlers a camera for capturing sport action seems like a good choice, too. * filming lil babies (and husbands) doing all the above (video). SLR that will help me develop a more professional skill set (that’s why I prefer not to choose the T4i or D5200). A lens with a range, that comes in a kit, or I can add to a body for ~$1000. All used, Canons at around $1100. Nikon just under $1000. 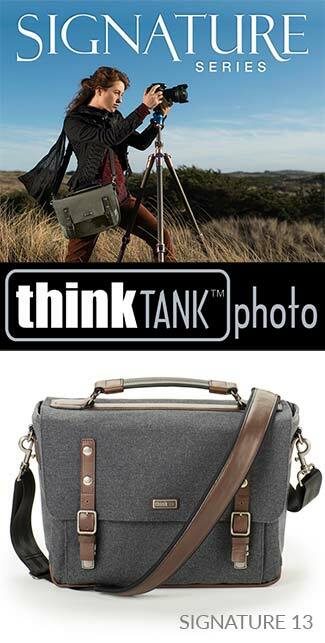 Both for just under $120, depending on the camera choice, of course. The 7D and D7000 are both great choices; I think that the 7D is a better camera overall (as you’ve undoubtedly read above), but the fact that you mention video… well, I’d now lean towards the Nikon D7000. It will autofocus continuously while shooting video. It also has slightly better high ISO performance, though at a slightly lower resolution, than the 7D. I really enjoyed reading the article, and am grateful for the in-depth answer. I’m glad to see that you’re going with the Canon 7D. I’ve owned & used most cameras released by from 2009 and so far my favorite are 60D because convenient flip out screen and 7D’s pro features and focusing system. May I make a suggestion if you haven’t ordered it yet, get the 50mm 1.4. 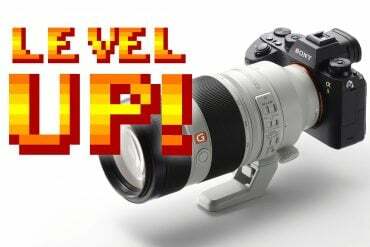 It’s fast USM focusing will compliment your 7D accuracy. You won’t regret it. Ok so I don’t know if my other comment went through since my computer froze up but this is kinda what I said.. I torn between these 2 cameras. I’m just starting out again into pursuing my love of photography and I wanting to find the best camera to invest into. This is going to be my 1st DSLR camera and even though its going to be a big learning curve but that’s what I want so I can grow into this camera. 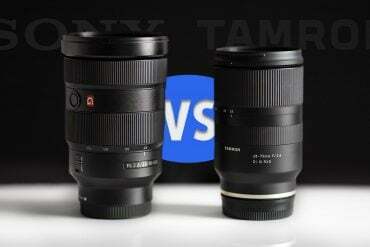 I know that the main component and biggest factor in getting the best quality picture is the lenses. 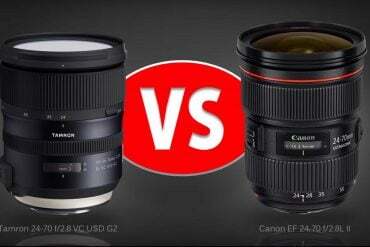 Question 1- Which company between Canon and NIkon who makes the best quality lenses and most different range lenses? This will be my main deciding factor in which camera I purchase. Question 2- I’m debating between getting a bundle pack for either these 2 cameras or just getting the base and buying two lenses to start out with (the 50mm f/1.8 and then a good zoom lense, which I would need your opinion in too), which idea do you think is most practical and smarter idea? 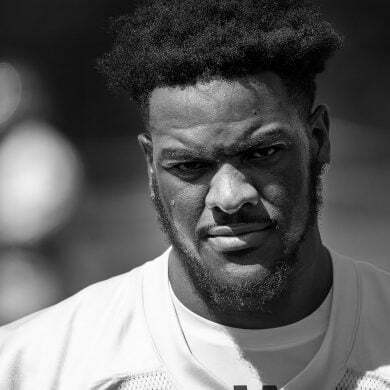 I need a lense thats good for speed/action since I will be using it to photograph my son and his many sporting events but also that I can use for everyday use. Thank for you time and look forward to hearing you opinion. Whether Canon or Nikon has better or more lenses is a tricky question, and more complicated than it might seem at first. So, looking for a definitive answer at the company level probably isn’t helpful. 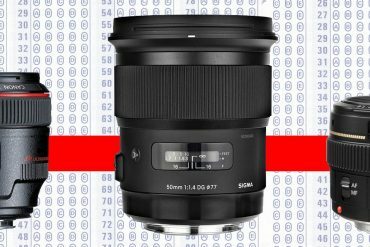 What’s going to be more helpful is to choose a few lenses that you would use and that you can see yourself actually being able to purchase in the future, and comparing those… keeping in mind that, optically, the differences between a good lens from Nikon and a good lens from Canon may be visible in the lab, but probably won’t be visible in real life… lenses today are really excellent. You’re right, though, that the lens you use to get a picture is extremely important… but a big part of that is lens choice, not necessarily lens brand. 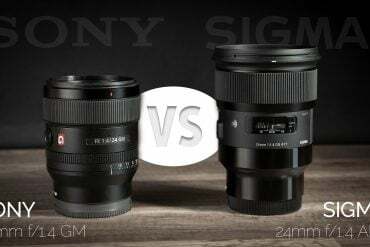 You’ll get a very different picture with an 85mm f/1.4 lens than you will with a 55mm f/5.6, even if they’re both nice lenses. For the way I work, I carry two camera bodies… one with a 24-70 f/2.8 (or equivalent) and one with a 70-200 f/2.8, and that allows me to cover a huge range of subjects with top-notch image quality. I think that Canon’s lenses are the best in the world for these ranges. 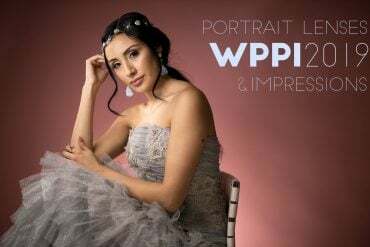 Other photographers, though (Alfred Lopez, a contributor here on the site, for example) prefer to use only a few prime lenses: an 85mm, a 50mm, a 35mm, all with large apertures. There’s no best setup overall… just the best one for a particular photographer. In general, I avoid the kit lenses, though optically they’re usually ok. Ever since I bought my first camera in 1992, I always buy the body + a 50mm f/1.8 lens, and then take it from there… though at this point, I have a collection of Canon and Nikon lenses, so I haven’t had to purchase another lens with a body for a while, I guess. Regardless, it’s hard to go wrong with a 50mm, and then for sports, you’ll want a good quality, fast-focusing telephoto zoom lens. I think that a 70-200 f/2.8 is ideal, and there are several on the market that are in the not-too-outrageous price range. If your kids play outdoor sports and have games during the day, then a 70-300mm might work well, too. Sorry I can’t give you anything more definitive than that :) If you do have more questions on the specifics, though, just let me know. Thanks Matthew for trying to answer all those very complicated questions. I know these 2 companies all have their pros and cons and its all preference to the individual. So then I guess the only question I have then is since I’m just starting my collection, which camera out of the D7000 and D7 would you recommend from you professional opinion? Between those two, I’d go with the Canon 7D, but it’s really a matter of personal preference :) They’re both great cameras. Can you specify the particular features that make you go with the 7D instead of the nikon d7000? At this time, considering that both cameras will soon be replaced, will be a good (price) or bad (replacement) time to get one? Essentially, it’s for the reasons that I list in the article: the 7D is faster and better built, the AF system has cross-type points where they’re useful (at all of the peripheral focusing points, not just in the center), the D7000’s sensor is a little better, but not enough to matter in practice, it has the thumb-wheel exposure compensation dial (which is important to me), and I prefer Canon lenses for the types of work I most commonly do. But, as I say, some of that is personal preference… other factors may be more important to you. If you can get a good deal on a 7D or d7000, I think it’s a great time to buy unless you frequently shoot in situations that are pressing the boundaries of a camera’s hardware abilities, like shooting in low light without flash. I do it a fair amount, but use large aperture lenses and it’s not a big deal keeping my ISO at 1600 or below, so the capabilities of these cameras are great. In general, the technical “image quality” is NOT what makes a picture great, anyway. If you do work in tricky situations a lot, though, then it might be worth waiting 6 months. Thanks a lot for your comments and excellent job. Keep on! Thank you for your help!! :) What lens would you recommend I get for the Canon? I want to get an all around everyday lens that can capture action best. It depends on the zoom range that you’re interested in. The more zoom that’s included in a single lens, the worse the overall image quality will be. Personally, I’m a fan of the new 18-135mm STM lens, which has great image quality and covers the wide-angle to moderately long telephoto range covered, and the auto focus is nice and fast for shooting action. It is, however, not an f/2.8 lens, so it’s not great for getting fast shutter speeds in lower light levels. If you’re looking for an f/2.8, there aren’t too many options: the 17-55 and the 70-200 f/2.8 (the Tamron is a good deal) lenses are both outstanding, but expensive and they don’t cover wide angle to telephoto. maybe it sounds ridiculous, but you also should consider your hand-size. I had both cameras in my hands and I have to say, the 7D is a camera for men, while the D7000 is a camera rather for women. Size is not just a little but a huge difference, considering average hand sizes of women and men. You should go into a store to get a feeling. Thanks so much for you input and I actually did get the D7000 for that exact reason! I have very tiny hands (size 4.5 ring size lol) so when I went to go try out the cameras the 7D was way to big for me, I could barely grip the the camera :/ but thank you so much for your advice! And the lenses you suggested I had a question, are Tameron and Sigma that well made?? Because I was debating on getting them since they are 3rd party and I just didn’t know if they were that good. What makes them worth getting besides the price difference? I was reading reviews and kept getting mixed messages, some people liked them and some just hate them! Would love to get your opinion!